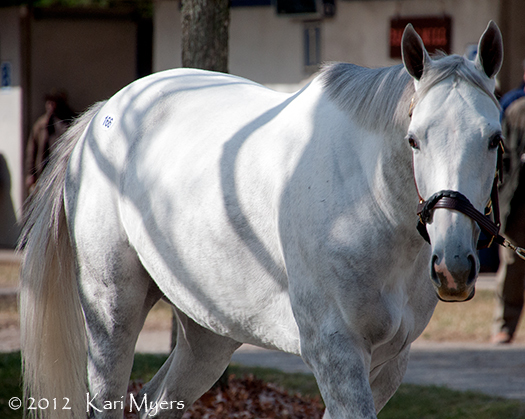 Nov 4, 2012: The lovely mare Well Monied, a Grade 2 winner by Maria’s Mon shown here in foal to Giant’s Causeway. 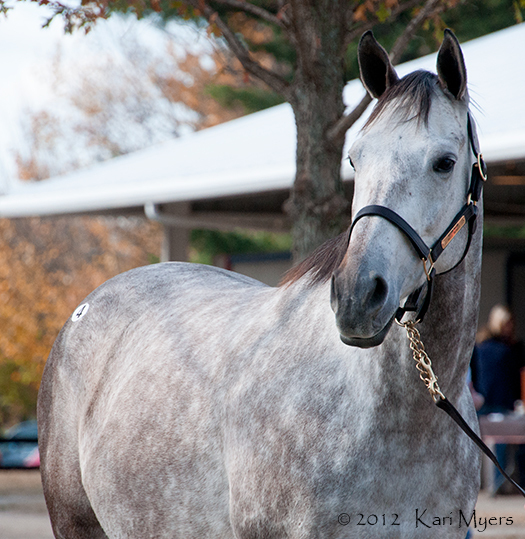 The photos here are from the 2012 Fasig-Tipton November sale. Such a gorgeous place to visit! 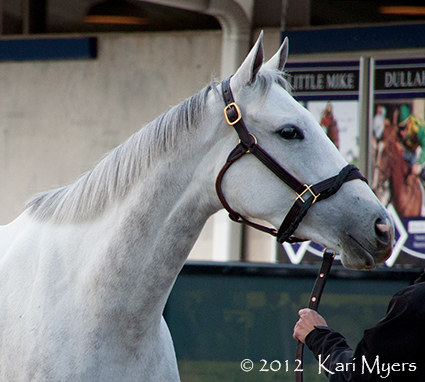 Nov 5, 2012: Ponche de Leona, shown here in foal to Tapit, is the dam of ’13 Breeders’ Cup Classic winner Mucho Macho Man. 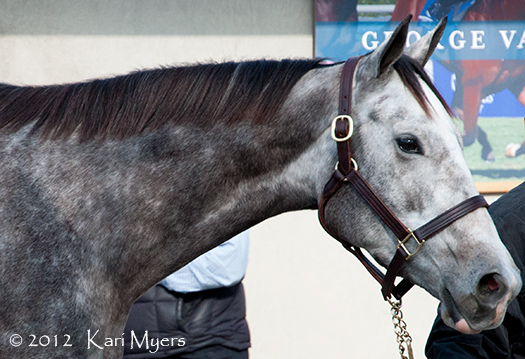 Nov 4, 2012: Tapitsfly, trained by Dale Romans, won the ’09 Breeders’ Cup Juvenile Fillies Turf and became a two-time Grade 1 winner in 2012. 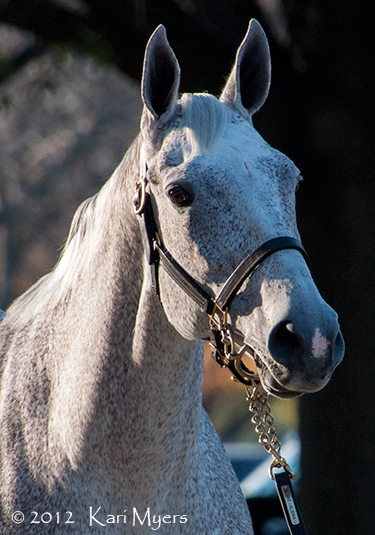 Nov 4, 2012: Versailles Song is a daughter of the amazing mare Versailles Treaty, who won four Grade 1 races during her career. 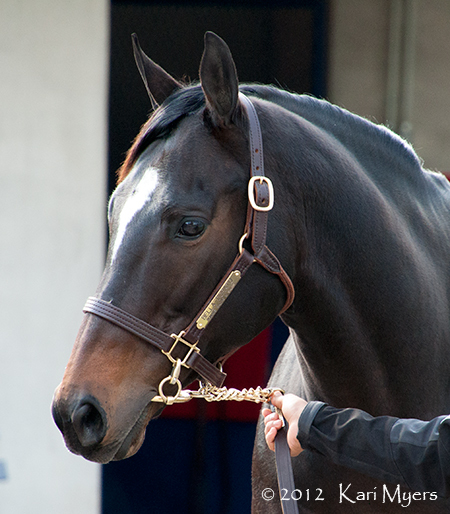 This makes Versailles Song a half-sister to George Vancouver, winner of the ’12 Breeders Cup Juvenile Turf.